It was the perfect weather for our Halloween Fun Shoot, a mild foggy day, I believe Roger had something to do with the weather but I’m not sure how he did it. 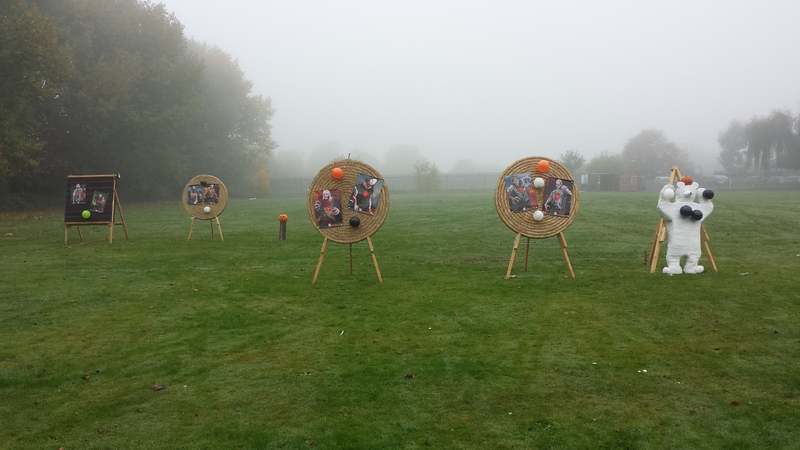 We had several Zombie targets, a pumpkin and a Polar Bear……ohhh sorry that was the “Ghost” of a bear and of course BALLOONS, the pagoda was also setup and we had hot tea’s and coffee’s, cakes, biscuits and Roger & Helen’s heart warming Pumpkin soup. There was a scoring system on the day and the title of CHIEF ZOMBIE KILLER was awarded to Helen, by one point, runner up was Peter. Thank you all for a fantastic day.